In another country, the most mundane things seem alluring and exotic compared to the everyday versions back home. The treats pictured on this ice cream sign in Deruta, Italy look far more delicious and glamorous than the Drumsticks and Rocket Ice Pops available from our corner store or neighborhood ice cream truck. 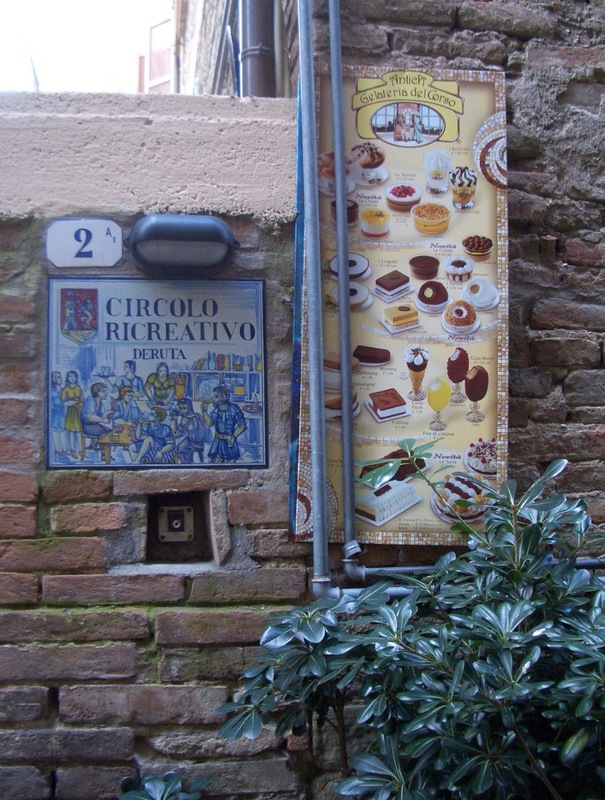 Although the sign is modern, the old stone wall and hand-painted ceramic plaque are reminders that this is an ancient town, with much history and architecture waiting to be explored. How much sweeter to wander those streets with a Fiore di Limone in hand.